He caught me. My husband and I were taking a walk together on the beach, except that I was the only one doing the walking; He spoke from the other side of the phone back home. Through the line, above the roar of the wind and waves, he heard my tears. It was the third time in three days that a conversation tugged at my heart and released the valve to my tears, each time catching me off-guard. I really hadn’t felt sad or down, but I had come to the beach, my peaceful place, in search of answers from the Lord. Life had taken a fast unexpected curve, tossing me back and forth with uncertainty, and I needed time to seek out His direction. He had been beckoning me to trust Him more. But I did, I protested. I trusted Him to be faithful to answer my prayers for the many I have committed to regularly pray for. “That’s good,” He said. I trusted Him to answer the prayers of others uttered on my behalf. “Mmm hmm,” He replied. “And?” I heard in my heart. “And, what?” I retorted to the Lord. He got me. He knew my heart and He wanted me to see it too. In turbulent times, if we do not guard our thoughts, we are open prey for an enemy who lies to the weakest parts of our being, convincing us that his lies are true. I had fallen for it, and with it came doubts and questions. Faced with significant life changes, it seemed I was questioning everything lately. How had life gotten to this point? Should I have seen it coming? Was there something I was supposed to do to prevent it? Was it a reflection of God’s displeasure with me? Had I misunderstood His purpose, plan, and call for my life? Why was I such a slow learner? Was God unhappy with my spiritual progress? Battered in every major area of my life at once, I had grown weary of paddling. I felt like I was stranded on an island with the occasional passerby who threw out a life-saver too flimsy to carry the weight of my burdens. God was not angered or intimidated by my questions. He delights in open dialogue. Even when it hurts, even when it falls apart, I can trust Him. I can run to Him and find refuge in His arms. I would be ok. I wasn’t going through this alone. I’m not alone. He will go before me. He will never leave me…I am not alone. The words of that familiar song played softly in the background, but loud enough for my heart to receive the message. Two scriptures came to mind: “Seek the Kingdom of God above all else, and live righteously, and he will give you everything you need” (Matthew 6:33 NLT) and “You will seek me and find me when you seek me with all your heart” (Jeremiah 29:13). And so began my search to better understand trusting God: why we should, what’s involved, what’s required when we do, and more. Trusting God will be my focus for the next 31 days. If you’d like a glimpse into what the Lord has revealed, I invite you along on this journey. Michelle, your words impacted my heart tonight as I thought of how I chose to be stressed and worried about our recent move. The selling of our house to be exact. I knew our plans were in alignment with His and yet I didn’t rest in His unfailing provisional promises, nor did I walk in the complete peace I knew was offered to me by choosing to trust. But God, He met our need at the last minute and swooshed us out and onward according to the plans He had given us. He did not withhold His promises because of my lack of faithfulness in trusting wholeheartedly. He poured out blessing instead and for you, I pray you will find rest for your soul as you bask in the River of His love. Jeannie, I’m always delighted when you stop by the blog! I’ve followed your posts about your move, and I know the stress inherent in that. What I know to be true is that God is rarely early, but He’s never late. Rather, He’s usually just right on time, and that’s what requires our trust. He is always faithful to those who trust in Him. Scripture says that those who trust in the Lord will not be disappointed! When it is in Him, Trust Prevails! So true about guarding our thoughts! That is a huge area of weakness for me. I am learning to praise God when I feel overwhelmed and my thoughts start becoming hopeless and negative. We must guard our thoughts! We have an enemy who seeks to steal, kill, and destroy. When our thoughts become hopeless and negative, turning to God in praise sets the enemy running. Whereas GOD inhabits the praises of His people. There is no better place to be than where God is. When it is in Him, Trust Prevails! Stay the course my friend! Thank you for this authenticity and sharing it with us. Thanks for sharing this with us at Grace & Truth! It’s my honor. I’m so glad you stopped by! Amanda, as I was intentionally seeking to trust God more, I found over 220 verses in the Bible about trusting God. I figure that probably means He knew we would struggle with it. But that also means He kept bringing it to our attention so that we would continue to pursue Him and trust Him more, continuing to come back to Him when we relapsed. Give yourself grace, just as He has, and go back to trusting Him. Powerful post, one we can all relate to. It’s an ongoing process this trusting the Lord. Just when I think I have it mastered, another trial comes and there I am again, drowning. But I do not go as deep as I use to and I rise to the top quicker then I use to, progress sometimes comes in waves and I am thankful for those waves that go out and come back in, faithful because the hand of the Master cause them to do just that. Great post. So glad I stopped by. I’m so glad you stopped by too! I love your analogy of trusting God being like waves. I’ve had that experience too. And like you, I’m grateful that I rise to the top quicker than I use to, and His hand is always there to pull be to safety. Blessings! I found you through #JoyHopeLive and what a blessing it truly is. I’ve been on a similar walk with God as of late and your article touched me deeply. I’m so blessed to hear that. I love it when God uses someone’s words and experiences to touch another. 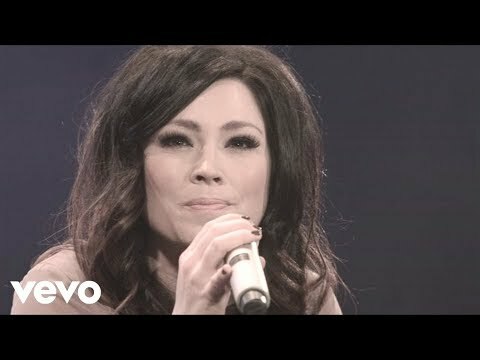 Oh how He loves you!! You can trust that!! I love how we can ask God anything and He is so gracious and patient with me. I have often asked God what His directions look like and He is faithful to give me pictures so His words become more tangible. You hit the nail on the head, Jennifer. We can trust God to be gracious and faithful. He longs for us to know Him better, so we can trust that He will allow us to find Him when we seek Him with our whole heart. When our trust is placed in Him, #trustprevails! This is such a touching post and one that hit home for me. Thank you for sharing your encouraging words of wisdom and faith. I’m so glad to hear that Crystal! He loves you! Blessings! Your words are always so powerful. I am so thankful you choose to share them with us every week on #JoyHopeLive. It is so hard sometimes to just trust God, even when we know it’s the right thing to do. I still struggle with trusting him since my daughter’s diagnosis of cancer, even though she has been cancer free for 8 years now. There is still this part that it is hard to fully trust. I can most certainly understand that struggle, Hope. We’ve been there. 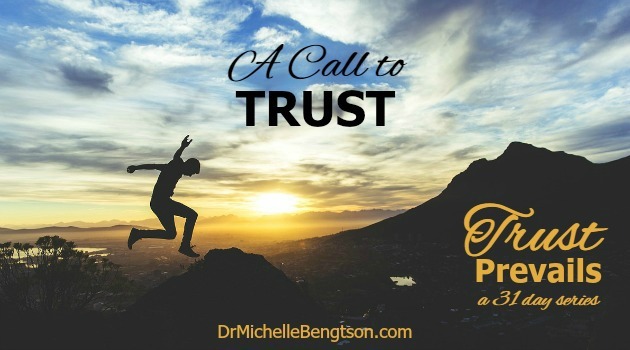 You might appreciate today’s post: https://drmichellebengtson.com/trust-when-you-do-not-understand/ It hasn’t always been easy for me to fully trust Him either, which is why I felt led to write this 31-day series on Trust! #TrustPrevails when we place our trust in Him!